The Market Revolution of the nineteenth century radically shifted commerce as well as the way of life for most Americans. The Market Revolution (1793–1909) in the United States was a drastic change in the manual-labor system originating in the South (and soon moving to the North) and later spreading to the entire world. Traditional commerce was made obsolete by improvements in transportation, communication, and industry. With the growth of large-scale domestic manufacturing, trade within the United States increased, and dependence on foreign imports declined. The dramatic changes in labor and production at this time included a great increase in wage labor. The agricultural explosion in the South and West and the textile boom in the North strengthened the economy in complementary ways. 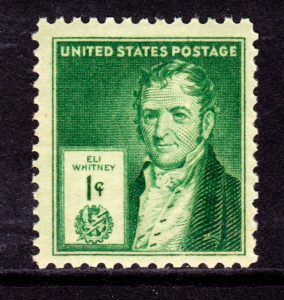 Eli Whitney on U.S. postage issue of 1940: Eli Whitney’s crucial contributions to the Market Revolution created a lasting legacy. Commercial agriculture and domestic manufacturing became crucial sectors of the American economy. In 1793, Eli Whitney’s cotton gin revolutionized the cotton industry in the South. The cotton gin (short for cotton engine) was a machine that quickly and easily separated cotton fibers from their seeds, a job that otherwise had to be performed painstakingly by hand, most often by slaves. Whitney went on to develop muskets with interchangeable parts, a technology employed by northern manufacturers in many different industries. Many new products revolutionized agriculture in the West as well. John Deere, for example, invented a horse-pulled steel plow to replace the difficult oxen-driven wooden plows that farmers had used for centuries. The steel plow allowed farmers to till soil faster and more cheaply without having to make repairs as often. In the 1830s, Cyrus McCormick’s mechanical mower-reaper quintupled the efficiency of wheat farming. Just as southern farmers had prospered after the invention of the cotton gin, farmers in the West raked in huge profits as they conquered more lands from the American Indians to plant more and more wheat. 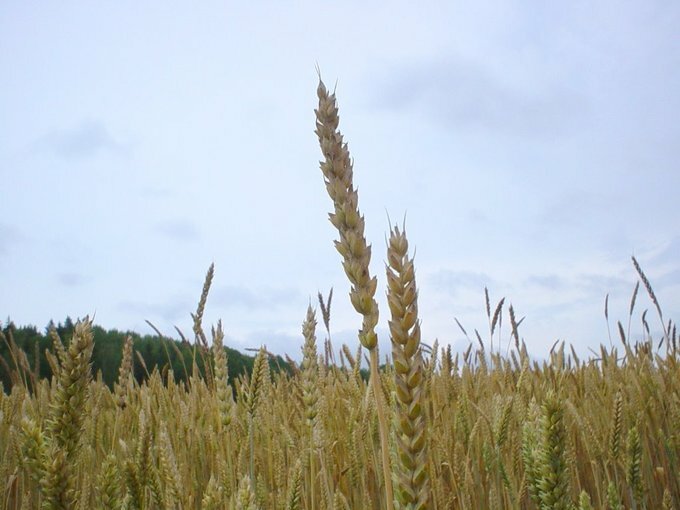 For the first time, farmers began producing more wheat than the West could consume. Rather than let it go to waste, they began to transport crop surpluses to sell in the manufacturing Northeast. The importance of the federal government also grew during this period. Congressman Henry Clay introduced the American System to develop internal improvements, protect U.S. industry through tariffs, and create a national bank. Federal and local governments, as well as private individuals, invested in roads, canals, and railroads. The 1825 completion of the Erie Canal was a tremendous engineering feat and opened the West for trade with markets on the east coast. Highways of the United States, ca. 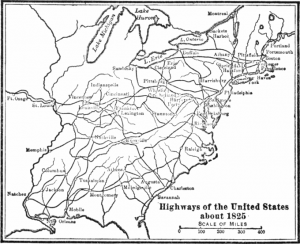 1825: Turnpikes, canals, and rail lines drastically changed America’s landscape, beginning in the 1800s. Following the War of 1812, the American economy was altered from an economy partly dependent on imports from Europe to an empire of internal commerce. With a new generation of leaders, the Republican Party came to embrace the principles of government activism and the development of large-scale domestic manufacturing. Westward invasion into American Indian territory relegated rich new farmlands to the United States. This period of rapid development in the East and expansion in the West produced a wave of land speculation that resulted in economic periods of boom and bust. These periods were characterized by patterns of high market prices followed by ruinously low prices, falling production, and bankruptcies by producers. In the nineteenth century, the construction of roads, rails, and canals dramatically improved national mobility. In the late eighteenth century, the U.S. population was centered on the Atlantic coast, with all major population centers located on natural harbors or navigable waterways. Water and river transportation were central to the national economy, while most overland transportation was by horse, which made it difficult to move large quantities of goods. By 1803, the country was growing rapidly with the admission of Kentucky, Tennessee, and Ohio; however, the only means of transportation between these landlocked western states and their coastal neighbors was by foot, pack animal, or ship. During the nineteenth century, transportation routes and means of transport underwent dramatic changes, greatly increasing national mobility. New and improved transportation technology made it easier and faster to transport goods: first national roads, then canals, and finally the railroad revolution. In eighteenth-century America, roads were privately built, and the government played little role in their construction. Early toll roads were constructed and owned by joint-stock companies that sold stock to raise construction capital. As the nation expanded, however, the government came to see the transportation network as a public good worthy of government support. 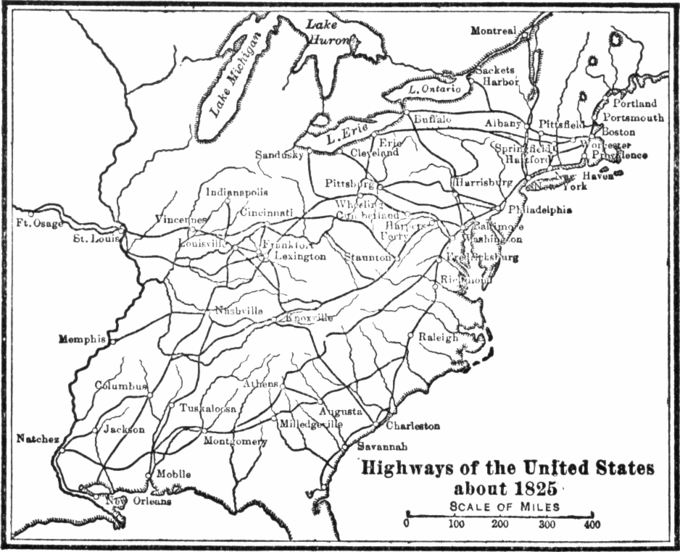 In 1808, a government-sponsored Report on the Subject of Public Roads and Canals suggested that the federal government should fund the construction of interstate turnpikes and canals. The suggestion was controversial: Anti-Federalists opposed expanding government power, but many others were persuaded by the compelling need for overland roads for military operations as well as for general commerce. Following the report, work began on a National Road to connect the west to the eastern seaboard. In 1815, construction on the National Road (also known as the “Cumberland Road”) began in Cumberland, Maryland; by 1818, the road had reached Wheeling, West Virginia (then part of Virginia). Though political strife ultimately prevented its western advance to the Mississippi River, this road became the gateway for thousands of westward-bound antebellum settlers. Profile of the grand Erie Canal: This is an 1832 profile of the Erie Canal, connecting New York City to the Western Interior of the U.S. In the late eighteenth and early nineteenth centuries, economic expansion spurred the building of canals to speed goods to market. Among the most important of these canals was the Erie Canal. First proposed in 1807, the Erie Canal waterway was constructed from 1817 to 1825 and was the first transportation system between New York City and the western interior of the United States. Extending from Albany, New York, on the Hudson River to Buffalo, New York, the canal cut transport costs by about 95 percent. The Erie Canal made an immense contribution to the wealth and importance of New York City, which became the chief U.S. port, and it fostered a population surge in western New York State. 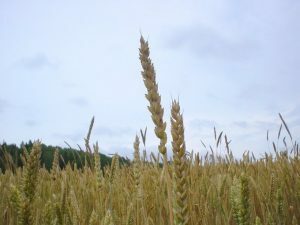 It also served to increase trade throughout the nation by opening eastern and overseas markets to midwestern farm products, and it opened regions farther west to settlement. The success of the Erie Canal led to a proliferation of smaller canal routes in the region. Locktender’s House on the Illinois and Michigan Canal: Lock No. 8 and Locktender’s House, Illinois and Michigan Canal just west of Aux Sable Creek, near Morris, Illinois. The Illinois and Michigan Canal was an important canal in the nineteenth century, but was rendered obsolete when new railroads replaced it. 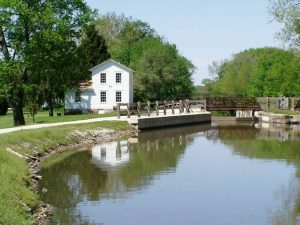 The Illinois and Michigan Canal was built in 1848 to connect the Great Lakes to the Mississippi River and the Gulf of Mexico. It helped establish Chicago as the transportation hub of the United States. Most of the canal work was done by Irish immigrants who had previously worked on the Erie Canal. Towns were planned out along the path of the canal, spaced at intervals corresponding to the length that the mules could haul the barges. From 1848 to 1852, the canal was a popular passenger route, but this ended in 1853 with the opening of the Chicago, Rock Island, and Pacific Railroad that ran parallel to the canal. Today, much of the canal is a long, thin park with canoeing and a 62.5-mile hiking and biking trail (constructed on the alignment of the mule tow paths). 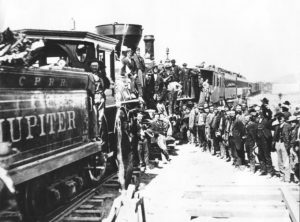 Celebration of completion of the Transcontinental Railroad on May 10, 1869: Railroads came to play a major role in westward expansion in the late nineteenth century. Canals radically improved transportation, but their reign was short-lived. By the mid-nineteenth century, the canal boom was brought to a sudden end by the rapid expansion of railroads. Railroads provided a quick, scheduled, and year-round mode of transportation. Railroads were superior to water routes in that they provided a safer, less hazardous mode of transport. Beginning in 1826, several states chartered railroads, including Massachusetts, New York, South Carolina, and Pennsylvania. The most prominent early railroad was the Baltimore and Ohio Railroad (B&O), which linked the port of Baltimore to the Ohio River and offered passenger and freight service as of 1830. Improved transportation increased the United States’ potential to expand its borders westward. While much of the basis for westward expansion was economic, there was also another reason, which was bound up in the American belief that the country, and the American Indian “heathens” who populated it, were destined to come under the civilizing rule of Euro-American settlers and their superior technology, most notably railroads and the telegraph. While it’s unclear whether that belief was a heartfelt motivation held by most Americans or simply a rationalization of the conquests that followed, the clashes—both physical and cultural—that resulted from this western migration left scars on the country that still are felt today. The concept of “Manifest Destiny” found its roots in the long-standing traditions of territorial expansion upon which the nation itself was founded. Land developers, railroad magnates, and other investors capitalized on westward settlement into American Indian land. The Pacific Railway Act of 1862 was pivotal in helping settlers move west more quickly. Other railway initiatives would follow, subsequently creating a network linking all corners of the nation. Industrialization in the United States was marked by a growth in factories and an implementation of wage labor, as well as by an increase in the number of working women and deskilled workers. As the nation deepened its technological base, artisans and craftsmen were made obsolete through the process of deskilling, as they were replaced by non-specialized workers. These workers used machines to replicate in minutes or hours work that would require a skilled worker days to complete. As New England ‘s textile industry took off, mill villages quickly grew into large factory towns, attracting rural workers from the surrounding countryside. The many children employed in early factories were paid very low wages because they were seen to be supplementing family income. At the beginning of the Industrial Revolution, the textile industry was rife with potential for mechanization. Prior to this period, textile production was traditionally performed at home; however, at the beginning of the nineteenth century, the work was mechanized and increasingly done on an industrial scale. In the late eighteenth century, the English textile industry had adopted technological innovations that greatly improved the efficiency and quality of textile manufacture: the spinning jenny, water frame, and spinning mule. However, these technologies were closely guarded by the British government. In 1789, Samuel Slater, an apprentice in one of the largest textile factories in England, defied British laws against the emigration of skilled laborers and smuggled his knowledge of textile machinery to the United States. In 1793, he established a cotton-spinning mill with a fully mechanized water-power system at the Slater Mill in Pawtucket, Rhode Island. Slater’s Mill was established in the Blackstone Valley, which became one of the earliest industrialized regions in the United States. At its peak, more than 1,000 mills operated in this valley. Slater went on to build several more cotton and wool mills throughout New England. Slater’s mills ran on a business model called the “Rhode Island System.” In this model, mill villages employed all members of a family. By the 1820s, this system began to be replaced by a more efficient system based upon the ideas of Francis Cabot Lowell, an American businessman who was instrumental in bringing the Industrial Revolution to the United States. Lowell’s Boston Manufacturing Company dominated the textile industry in the United States in the 1820s, developing efficient and novel systems of labor and production. Lowell, a Massachusetts merchant, was permitted to tour British textile factories in 1810. He memorized the design of textile machines, and on his return to the United States, he established the Boston Manufacturing Company. In the “Waltham-Lowell System,” for the first time, both spinning and weaving occurred on site, and mill workers resided in collective company housing under strict supervision. Following his death in 1817, Lowell’s associates built America’s first planned factory town: the eponymous Lowell, Massachusetts. Lowell popularized the use of the wage labor, a system in which a worker sells his or her labor to an employer under contract. Wage labor displaced reliance on apprenticeship and family labor. Jeffersonian agrarians viewed wage labor as a negative force in society, arguing that the economy of the United States should be built upon agriculture rather than on industry. Jefferson reasoned that the growth of a class of wage laborers would decrease self-sufficiency in America. The monotony of repetitive tasks made days particularly long. In the winter, when the sun set early, oil lamps were used to light the factory floor, and employees strained their eyes to see their work and coughed as the rooms filled with smoke from the lamps. Some factories did not allow employees to sit down. Doors and windows were kept closed, especially in textile factories where fibers could be easily disturbed by incoming breezes, and mills were often unbearably hot and humid in the summer. In the winter, workers often shivered in the cold. In such environments, workers’ health suffered. The workplace posed other dangers as well. The presence of cotton bales alongside the oil used to lubricate machines made fire a common problem in textile factories. Workplace injuries were also common. Workers’ hands and fingers were maimed or severed when they were caught in machines; in some cases, limbs or entire bodies were crushed. Workers who didn’t die from such injuries almost certainly lost their jobs, and with them, their income. Corporal punishment of both children and adults was common in factories; where abuse was most extreme, children sometimes died as a result of injuries suffered at the hands of an overseer. As the decades passed, working conditions deteriorated in many mills. Workers were assigned more machines to tend, and the owners increased the speed at which the machines operated. Wages were cut in many factories, and employees who had once labored for an hourly wage now found themselves reduced to piecework, paid for the amount they produced and not for the hours they toiled. Owners also reduced compensation for piecework. Low wages combined with regular periods of unemployment made the lives of workers difficult, especially for those individuals with families to support. In New York City in 1850, for example, the average male worker earned $300 a year; it cost approximately $600 a year to support a family of five. 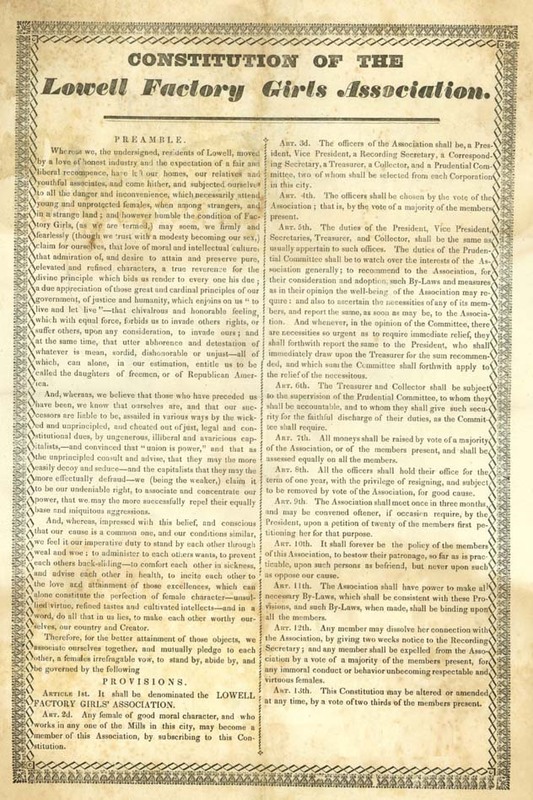 Constitution of the Factory Girls Association in Lowell, Massachusetts, 1836: This is the constitution of the Labor Reform Association of Lowell’s female textile workers, drafted in 1836. The long hours, strict discipline, and low wages soon led workers to organize to protest their working conditions and pay. In 1821, the young women employed by the Boston Manufacturing Company in Waltham went on strike for two days when their wages were cut. In 1824, workers in Pawtucket went on strike to protest reduced pay rates and longer hours, the latter of which had been achieved by cutting back the amount of time allowed for meals. Similar strikes occurred at Lowell and in other mill towns such as Dover, New Hampshire, where the women employed by the Cocheco Manufacturing Company ceased working in December 1828 after their wages were reduced. In the 1830s, female mill operatives in Lowell formed the Lowell Factory Girls Association to organize strike activities in the face of wage cuts and, later, established the Lowell Female Labor Reform Association to protest the twelve-hour workday. They distributed legislative petitions, formed labor organizations, contributed essays and articles to pro-labor newspapers, and protested through turn-outs or strikes. Even though strikes were rarely successful and workers usually were forced to accept reduced wages and increased hours, work stoppages as a form of labor protest represented the beginnings of the labor movement in the United States. Eli Whitney’s invention of the cotton gin in 1793 resulted in massive growth in the cotton industry in the American South. In the antebellum era—that is, in the years before the Civil War—American planters in the South continued to grow Chesapeake tobacco and Carolina rice as they had in the colonial era. Cotton, however, emerged as the antebellum South’s major commercial crop, eclipsing tobacco, rice, and sugar in economic importance. 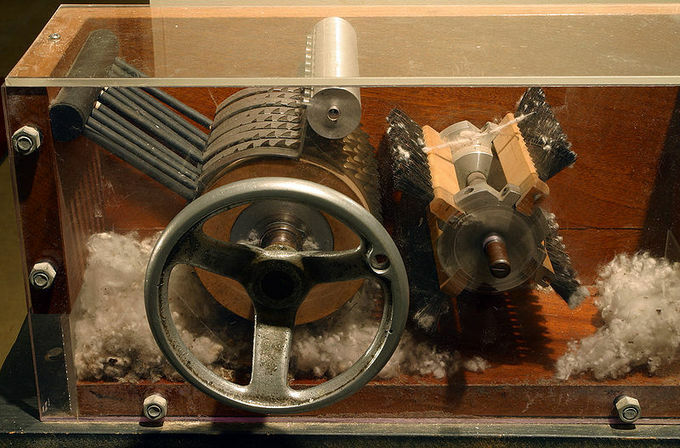 A cotton gin on display at the Eli Whitney Museum: The invention of the cotton gin revolutionized the textile industry in the early nineteenth century and transformed the economy of the South. In 1793, Eli Whitney revolutionized the production of cotton when he invented the cotton gin, a device that separated the seeds from raw cotton. Suddenly, a process that was extraordinarily labor-intensive when done by hand could be completed quickly and easily. The cotton gin (short for “cotton engine”) quickly and easily separated cotton fibers from their seeds, a job that otherwise had to be performed painstakingly by hand—most often by slaves. Whitney’s introduction of “teeth” in his cotton gin to comb out the cotton and separate the seeds revolutionized this process. With the invention of Whitney’s cotton gin, cotton became a tremendously profitable industry, creating many fortunes in the antebellum South. American plantation owners, who were searching for a successful staple crop to compete on the world market, found it in cotton. As a commodity, cotton had the advantage of being easily stored and transported. A demand for it already existed in the industrial textile mills in Great Britain, and in time, a steady stream of slave-grown American cotton would also supply northern textile mills. Southern cotton, picked and processed by American slaves, helped fuel the nineteenth-century Industrial Revolution in both the United States and Great Britain. New Orleans, Louisiana, and Galveston, Texas, were shipping points that derived substantial economic benefit from cotton raised throughout the South. Cotton soon became the primary export in the United States, and by 1860, on the eve of the Civil War, the southern states were providing two-thirds of the world’s supply of cotton. Additionally, the development of large-scale mills and metal machine tools dramatically increased textile production in northern mill towns in the early 1800s. Though cotton was primarily grown for export to Europe, this textile boom in New England created an important domestic market for southern cotton producers. 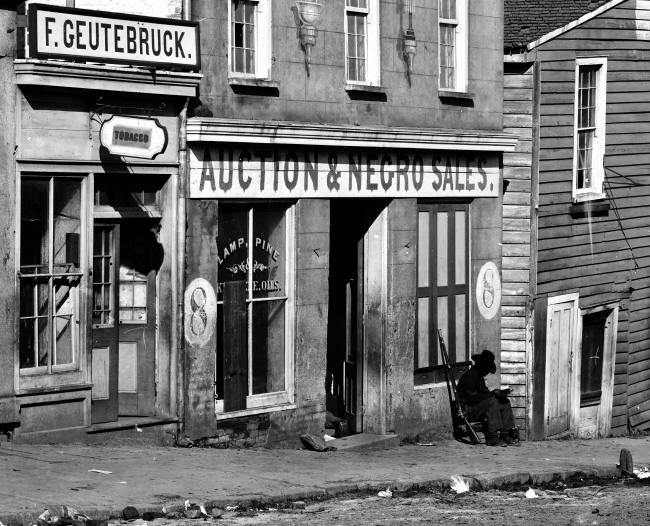 Slave market in Atlanta, Georgia, 1864: This image depicts the site of a slave market in Atlanta in 1864. The cotton industry in the South was fully dependent on the institution of slavery. 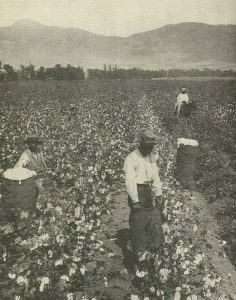 Due to its profound effect on American slavery, the growth of the cotton industry is frequently cited as one of the causes of the American Civil War. The number of slaves rose in concert with the increase in cotton production, increasing from approximately 700,000 in 1790 to roughly 3.2 million in 1850. A congressional ban on the importation of slaves from Africa in 1808 only increased the demand for domestic slaves on cotton plantations, hindering the work of abolitionists who sought to end slavery. The domestic slave trade exploded, providing economic opportunities for whites involved in many aspects of the trade and increasing the possibility of slaves’ dislocation and separation from kin and friends. The United States experienced a communication revolution in in the early 1800s, during which the penny press and the electrical telegraph emerged. Advances in forms of communications greatly expanded in the United States during the early 1800s. The penny press and the electrical telegraph were among the innovations that emerged during this communications revolution. 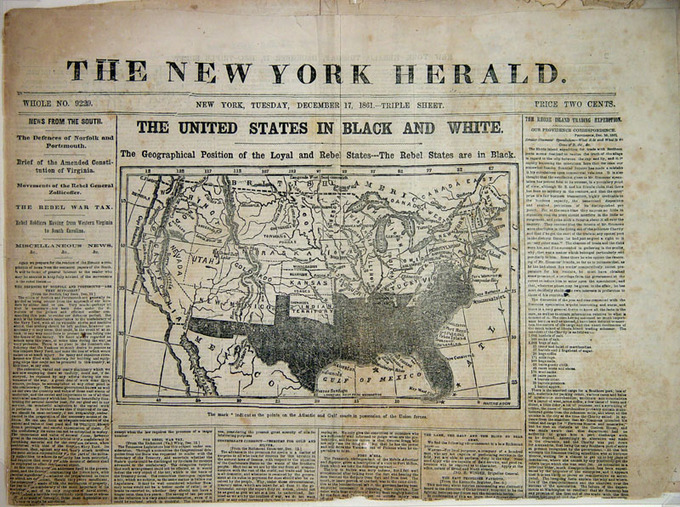 The New York Herald Penny Press, 1861: The penny press revolutionized journalism in the 1830s. In the early 1800s, newspapers were largely meant for the elite. 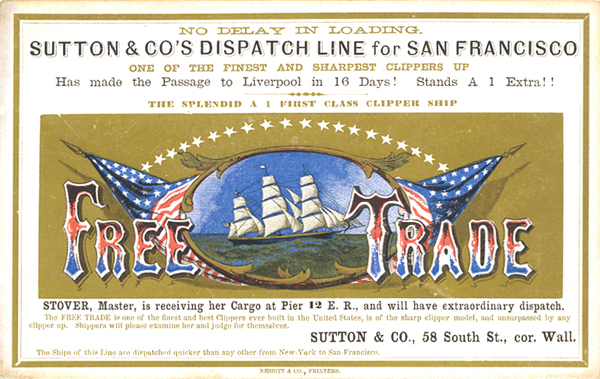 They generally took two forms: mercantile sheets intended for the business community, which contained ship schedules, wholesale product prices, advertisements, and some foreign news; and political newspapers, which were controlled by political parties or their editors as a means of sharing their views with elite stakeholders. Journalists reported the party line and editorialized in favor of party positions. Mass production of inexpensive newspapers became possible due to the shift from handcrafted printing to steam-powered printing. In 1833, the first “penny paper,” the Sun, was founded in New York. Penny papers—specifically targeting the working class urban population—quickly became widespread. The cheap sensationalized news sources covered crime, tragedy, adventure, and gossip, and these newspapers easily shifted allegiance on political issues. The changes made during the Penny Press era set the standards for all future newspapers, and those standards are still implemented today. In 1836, Samuel Morse and Alfred Vail developed an electrical telegraph capable of transmitting text messages over long distances using wire. Together, they developed the Morse code signaling alphabet system. In 1843, the U.S. Congress appropriated $30,000 to fund an experimental telegraph line from Washington, D.C., to Baltimore, Maryland. In May of 1844, Morse made the first public demonstration of his telegraph, sending the famous message, “What hath God wrought?” The Morse-Vail telegraph was quickly deployed in the following two decades. Improved communication systems fostered the development of business, economics, and politics by allowing for dissemination of news at a speed previously unknown. The Market Revolution of the early nineteenth century saw advances in technology, transportation, communication, and manufacturing. During the Market Revolution in the first half of the nineteenth century, traditional modes of commerce were made obsolete by improvements in transportation, communication, and industry. The new technologies and tools that arrived with the Industrial Revolution strengthened large-scale domestic manufacturing in the United States. During this era, Americans began to experience the forces of supply and demand on a broader scale. Drastic changes in the manual labor system altered the schedules, wages, and working conditions for laborers. Artisanal trades began to give way to more efficient systems of production that did not require skilled labor. Wage labor became an increasingly common experience. Manufacturing came to depend on conveyor belts, interchangeable parts, and industrial tools. The textile industry in New England particularly benefited from these innovations. Eli Whitney ‘s invention, the cotton gin, helped to establish the new significance of the market to American society, as it enabled southern planters to reap tremendous profits from cotton exports. The large-scale production of cash crops began to replace subsistence farming in the South and West. Simultaneously, port cities such as Baltimore, Philadelphia, New York, and Boston developed powerful economies that began to challenge those of contemporary midsize European cities. Americans now could quickly produce larger amounts of goods for a nationwide, and sometimes an international, market and rely less on foreign imports than in colonial times. 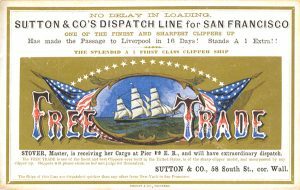 “Free Trade”: Image of an old advertisement from Sutton & Co., with the words “Free Trade” across the front. American society became increasingly subject to broad market forces in the early nineteenth century. As American dependency on imports from Europe decreased, the importance of internal commerce increased dramatically. Construction of the Erie Canal connected western agricultural markets to the manufacturing centers of the Northeast, and the development of steamboats and railroads allowed for much greater mobility between markets. New technologies rapidly transformed and commercialized the agricultural sector in the American South and West. Prior to the Revolutionary War, agriculture created the livelihood for 90 percent of the population. The majority of farms were geared toward subsistence production for family use. Small landowning family farmers, the yeomen ideal of Jeffersonian democracy, were prevalent at the turn of the nineteenth century in both the North and South. Landowning yeomen were typically subsistence farmers, but some also grew crops for market. Southern cotton plantation: The invention of the cotton gin revolutionized the cotton industry in the South and increased economic dependence on slave labor. During the early half of the nineteenth century, new technologies and expanding markets transformed the landscape of farming and gave rise to commercial agriculture. Cotton, for example, was one of the first and most extensively commercialized crops. Following the invention of the cotton gin in the late 1790s, cotton came to dominate southern plantations and became the quintessential example of a commercialized crop. The rapid growth of the textile industry in Britain created a major demand for cotton fiber, and by 1840, this plantation crop represented two-thirds of all American exports. After 1810, the emerging textile mills in New England also produced a heavy demand for the crop. Cotton prices continued to increase as the South remained the primary supplier in the world. Cotton was generally produced on plantations ranging from South Carolina westward, and production relied upon slave labor, thus greatly strengthening the institution of slavery in the South. Wheat: Wheat production in the West greatly increased with the invention of the mechanical reaper, patented in 1834. Agriculture in the West also became increasingly commercial after the 1830s, when Cyrus McCormick invented a mechanical mower-reaper that drastically increased the efficiency of wheat farming. John Deere’s horse-drawn steel plow also led to more efficient farming practices, replacing the difficult oxen-driven wooden plows that farmers had employed for centuries. These developments rapidly increased agricultural production in the West and made commercial farming viable. International markets were important for commercial agriculture, especially for cotton. This global trade was facilitated by improvements in shipping and transportation. At the same time, U.S. industrialization and urbanization in the North opened up lucrative domestic markets for American farmers. For example, the textile mills of New England created a new market for Southern cotton planters. Farmers in the West were producing more wheat than the West could consume, and crop surpluses were sold to the manufacturing Northeast. The commercialization of agriculture changed the economic base for the South and West. Though the country remained regionally specialized, with the North and South divided by sectional ideology, the growth in commercial agriculture pushed farmers in the South and West away from subsistence agriculture and production for local markets toward a nationally integrated market. The eastern port cities of Boston, New York, Philadelphia, and Baltimore transformed the demographic landscape of the United States in the early 1800s. In 1790, only 12 cities in the United States had a population greater than 5,000. By 1860, 16 percent of Americans lived in cities with 2,500 or more people, and manufacturing in these cities was responsible for one-third of the nation’s income. In 1800, Philadelphia was one of the busiest U.S. ports and the country’s largest city, with more than 60,000 people living in the city and surrounding area. Philadelphia reigned as the cultural and financial center of the country during this period. 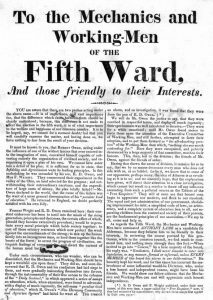 Its large free black community aided fugitive slaves and founded the first independent black denomination in the nation, the African Methodist Episcopal Church. 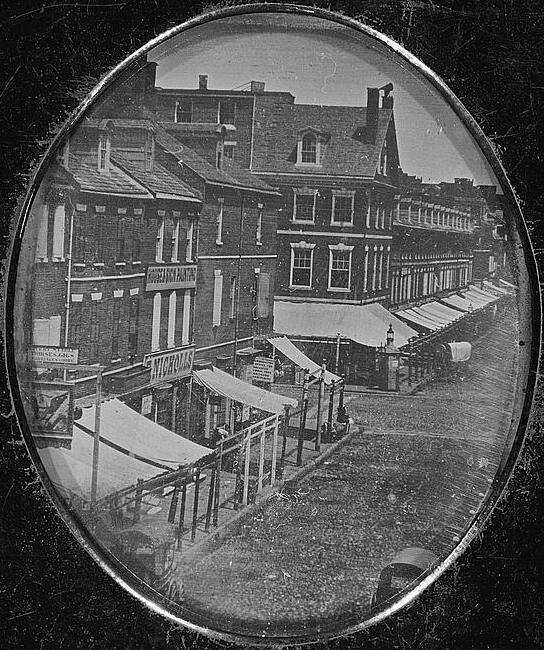 Daguerreotype of Philadelphia, Pennsylvania, at the corner of 8th and Market Streets, 1840: Philadelphia was the largest metropolitan center in the United States in the early 1800s. Philadelphia became one of the first U.S. industrial centers. Major industrial projects included the Waterworks, iron water pipes, a gasworks, and the U.S. Naval Yard. Along with its industrial power, Philadelphia was the financial center of the country. The city was the home of the First and Second Banks of the United States and the first U.S. Mint. Cultural institutions, such as the Pennsylvania Academy of the Fine Arts, the Academy of Natural Sciences, and the Franklin Institute also flourished in Philadelphia. Philadelphia’s maritime trade was interrupted by the Embargo Act of 1807 and the War of 1812. After the war, Philadelphia’s shipping industry never returned to its pre-embargo status, and New York City succeeded it as the busiest port and largest city. The Commissioners’ Plan of 1811 provisional map: A drawing of the plans for New York City’s grid system, adopted in 1811. Even in the early nineteenthcentury, New York City was a cosmopolitan enclave with a transitory population made up largely by immigrants. In 1811, New York adopted a grid system of numbered streets and avenues to efficiently develop and sell property in Manhattan. Overcrowding and unsanitary conditions in New York City contributed to an increase in disease, and cholera and yellow fever ravaged the city. A polluted aquifer, overcrowded housing, a lack of sewers and basic sanitation, and the existence of polluting industries near wells and residential areas contributed to an unprecedented mortality rate. In addition, the rapid expansion of densely packed wooden buildings led to many fires, culminating in the Great Fire of New York in 1835, which devastated the city. With the development of steamboats and canal routes, waterborne shipments quickly became more popular than shipment over land. The opening of the Erie Canal greatly increased New York City’s importance, connecting the city to the vast agricultural markets of the North American interior. Though New York City’s rapid development was temporarily suspended by the Panic of 1837, which resulted in high rates of unemployment and bankruptcy for many businesses, the city gradually recovered. By 1850, New York City had reestablished itself as the financial and mercantile capital of the western hemisphere. 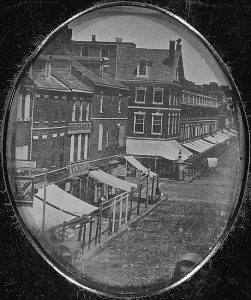 Baltimore grew rapidly in the early nineteenth century, becoming the largest city in the American South. Thanks to the milling technology of Oliver Evans, Baltimore dominated the American flour trade after 1800. Other Baltimore businessmen also contributed to the city’s development. Alexander Brown (1764–1834), an Irish immigrant, built the leading foreign exchange house in the United States in the 1830s and the nation’s first investment bank. George Peabody (1795–1869) developed an extensive network of financial and mercantile institutions while endowing libraries and museums and aiding the poor. In 1827, Baltimore’s merchants and bankers developed the tremendously successful Baltimore and Ohio Railroad. In the late nineteenth century, Baltimore was known as a “city of transients,” a fast-growing boomtown attracting thousands of ex-slaves from the surrounding countryside. Slavery in Maryland declined steadily after the 1810s as the state’s economy shifted away from plantation agriculture, and a liberal manumission law encouraged slave freedom. 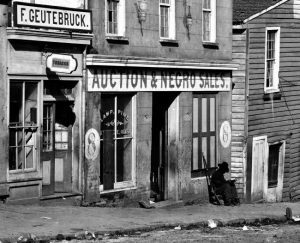 Despite the displacement of the black labor force with the arrival of German and Irish immigrants, and increasing poverty in the black community, Baltimore had the largest number of free blacks in the nation on the eve of the Civil War. By 1800, Boston was transformed from a relatively small and economically stagnant town to a bustling seaport and cosmopolitan center with a large and highly mobile population. Boston benefited greatly from being an international trading port, exporting rum, fish, salt, and tobacco, among other products. The population approached 25,000 by 1800. A network of small rivers bordering the city and connecting it to the surrounding region made for easy shipment of goods and allowed for a proliferation of mills and factories. Road networks were constructed to aid transportation, especially of cattle and sheep to markets. By the mid-nineteenth century, an even denser network of railroads facilitated the region’s industry and commerce. Boston became one of the largest manufacturing centers in the nation, noted for its garment production, leather goods, and machinery industries. Thomas Jefferson and his party of the Democratic- Republicans took issue with what they perceived as favoritism given to commercial classes in the principal American cities. Jefferson thought urban life widened the gap between the wealthy few and an underclass of landless poor workers who, because of their oppressed condition, could never be good republican property owners. Rural areas, in contrast, offered far more opportunities for what Jefferson viewed as property ownership and virtue. Over the course of his two terms as president—from 1800 to 1808—Jefferson reversed the policies of the Federalist Party by turning away from urban commercial development. This shift would not last, however, and future administrations prioritized the growth of urban industry. The membership of political parties in the Second Party System was reflective of urbanization and wealth. Whigs tended to be wealthier; they were prominent planters in the South and wealthy urban northerners—in other words, the beneficiaries of the market revolution. Democrats presented themselves as defenders of the common people against the elite. Members of the emerging business elite in these northern cities forged close ties with one another to protect and expand their economic interests. Marriages between leading families formed a crucial strategy to advance economic advantage, and the homes of the northern elite became important venues for solidifying social bonds. Exclusive neighborhoods started to develop as the wealthy distanced themselves from the poorer urban residents, and cities soon became segregated by class. The profound economic changes sweeping the United States led to equally important social and cultural transformations. The formation of distinct classes, especially in the rapidly industrializing North, was one of the most striking developments. The unequal distribution of newly created wealth spurred new divisions along class lines. Urban centers became characterized by working-class families and high rates of poverty. Although most working-class men sought to emulate the middle class by keeping their wives and children out of the work force, their economic situation often necessitated that women and children contribute to the support of the family. Working-class women in urban centers made up a high percentage of the work force, and many working-class children went to work in factories. Many women were wage laborers themselves, and others took in laundry or did piecework at home to supplement the family’s income. Union activity and striking, spearheaded by women factory workers in the 1800s, were important means by which workers could address harsh manufacturing conditions. Workplaces in the industrialized North in the early nineteenth century were notoriously crowded and dangerous, offering low pay and no job security. Factory work was extremely difficult, requiring 12-hour shifts in unsanitary and unsafe conditions. Between 1830 and 1850, the notion of the “sweatshop” emerged as a specific type of workshop in which a middleman, the “sweater,” directed others in garment production under arduous conditions. The workplaces created for the sweating system comprised anywhere from a few to more than one hundred workers. To improve these conditions, workers’ organizations and trade unions fought for reforms during the early days of the labor movement in the United States. The first local trade unions in the United States formed in the late eighteenth century. In 1794, Philadelphia shoemakers organized the Federal Society of Journeymen Cordwainers (a reference to cordovan leather) in an effort to secure stable wages. After striking for higher wages, in 1806, eight union leaders were brought to trial and accused of conspiring to increase their pay rates. The defendants were found guilty in a Philadelphia court, a decision that established labor unions as illegal conspiracies. However, the ruling was overturned in a landmark legal decision issued by the Massachusetts Supreme Judicial Court in March, 1842. In Commonwealth v. Hunt, a case concerning a strike organized by the Boston Journeymen Bootmakers’ Society, Chief Justice Lemuel Shaw ruled that unions were legal organizations. 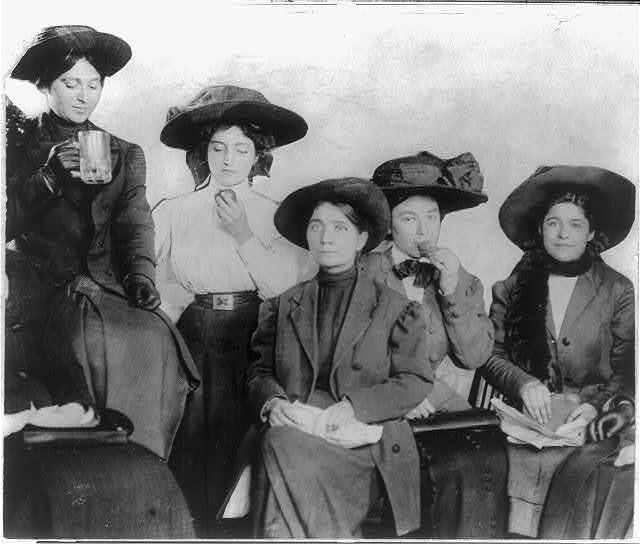 New York City shirtwaist workers on strike, taking a lunch break: Women in the garment industry were among the earliest labor activists in the United States. In 1821, the young women employed by the Boston Manufacturing Company in Waltham went on strike for two days when their wages were cut. In 1824, workers in Pawtucket struck to protest reduced pay rates and longer hours (which were a result of employers’ cutting back the amount of time allowed for meals). 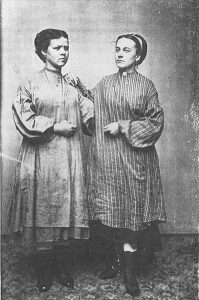 In 1825, female textile workers formed the United Tailoresses of New York to protest the long hours and harsh conditions in garment factories in New York City. Similar strikes occurred at Lowell and in other mill towns such as Dover, New Hampshire, where the women employed by the Cocheco Manufacturing Company ceased working in December 1828 after their wages were reduced. In the 1830s, female mill operatives in Lowell formed the Lowell Factory Girls Association to organize strike activities in the face of wage cuts, and later established the Lowell Female Labor Reform Association to protest the 12-hour workday. Even though strikes were rarely successful and workers usually were forced to accept reduced wages and increased hours, work stoppages as a form of labor protest represented the beginnings of the labor movement in the United States. While women spearheaded much of the early labor movement in the United States, children were actively involved as well. In 1835, children employed in the silk mills in Paterson, New Jersey, initiated an unsuccessful strike for an 11-hour day. 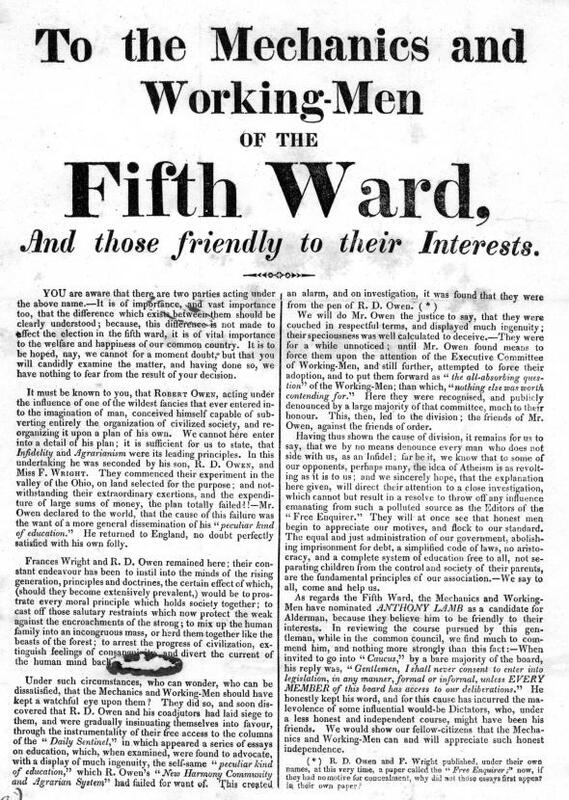 “To the Mechanics and Working-Men of the Fifth Ward”: This promotional tract issued by the Mechanics’ Union of Trade Associations condemns working conditions in Philadelphia. In 1827, The Mechanics’ Union of Trade Associations formed as a proxy of the united crafts in Philadelphia, with the primary goal of reducing the 12-hour work day. Carpenters, representing the union, led a strike for the 10-hour day in June 1827. Union members ran numerous candidates for local offices while forging coalitions with other organizations that supported educational reforms and economic regulations favorable to Philadelphia’s workers. In 1837, dozens of industries achieved a victory when the City of Philadelphia passed legislation prohibiting businesses from employing workers for more than 10 hours a day. Unfortunately, soon after the 10-hour workday legislation, the nation experienced the Panic of 1837, and the subsequent rise in unemployment crippled the Mechanics’ Union. In Philadelphia, New York, and Boston—all cities that experienced dizzying industrial growth during the nineteenth century—workers united to form political parties. Thomas Skidmore from Connecticut was the outspoken organizer of the Working Men’s Party, which lodged a radical protest against the exploitation of workers that accompanied industrialization. Skidmore argued that inequality originated in the unequal distribution of property through inheritance laws. In his 1829 treatise, “The Rights of Man to Property,” Skidmore called for the abolition of inheritance and the redistribution of property. The Working Men’s Party also advocated the end of imprisonment for debt. Skidmore’s vision of radical equality extended to all; women and men, no matter their race, should be allowed to vote and receive property, he believed. Skidmore died in 1832 when a cholera epidemic swept New York City, but the state of New York did away with imprisonment for debt in the same year. Worker activism became less common in the late 1840s and 1850s. As German and Irish immigrants poured into the United States in the decades preceding the Civil War, native-born laborers found themselves competing for jobs with new arrivals who were exploited into working longer hours for less pay. In Lowell, Massachusetts, for example, the daughters of New England farmers encountered competition from the daughters of Irish farmers suffering the effects of the potato famine; these immigrant women were willing to work for far less and to endure worse conditions than native-born women were, and American manufacturers took advantage of this to keep wages low. American men and women with families to support grudgingly accepted low wages in order to keep their jobs. As work became increasingly deskilled, no worker was irreplaceable, and no one’s job was safe. In 1870, Congress enacted the first four federal holidays: New Year’s Day, Independence Day, Thanksgiving Day, and Christmas Day. Public holidays in the United States originated from established federal holidays, which were enacted by Congress in the 1870s. They were typically observed on days that had significance for various sectors of American society and were acknowledged at all levels of society, including government and the private sector. Holidays are derived from the history, religion, and cultures of the U.S. demographics and have changed over time. Holidays are most commonly observed with paid time off; however, many holiday celebrations are honored without time off. Some are observed with community work, depending on the meaning of the holiday. They are not mandated, however, by any federal, state, or local government or agency. There are no national holidays on which all businesses are closed by law. Federal holidays are only established for certain federally chartered and regulated businesses (such as federal banks) and for Washington, D.C. All other public holidays are created by the States, and most states also allow local jurisdictions (cities, villages, etc.) to establish their own local holidays. As a result, holidays have not historically been governed at the federal level, and federal law does not govern business activities. Some states, however, restrict some business activities on some holidays. The history of federal holidays in the United States dates back to June 28, 1870, when Congress created federal holidays to correspond with holidays already celebrated and observed by the States. Although federal holidays were at first applicable only to federal employees in the District of Columbia, Congress extended coverage in 1885 to all federal employees. George Washington’s birthday became a federal holiday in 1880. In 1888 and 1894, respectively, Decoration Day (now Memorial Day) and Labor Day were created. In 1938, Armistice Day (now Veterans Day) was created to mark the end of World War I. The scope and the name of the holiday were expanded in 1954 to honor Americans who fought in World War II and the Korean conflict. Over the course of U.S. history, federal holidays were created and then abolished over time as their significance waned. Between 1828 and 1861, a holiday known as ” The Eighth ” marked the U.S. victory in the Battle of New Orleans on January 8, 1815 (led by Tennessee’s Andrew Jackson ). Following Jackson’s election as president, the day earned official national recognition. The Eighth continued as an official national holiday from 1828 until the Civil War. 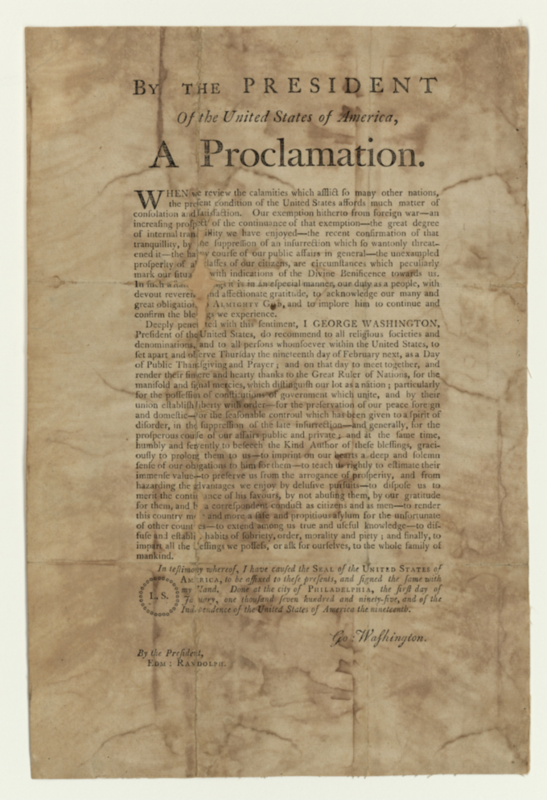 George Washington’s “Thanksgiving Proclamation,” 1795: George Washington issued the first proclamations of Thanksgiving in 1789 and 1795. The establishment of official federal holidays acted as a cultural signifier that both mirrored other areas of the world and distinguished the United States as its own country. For example, New Year’s Day and Christmas Day, celebrated in other countries around the world, brought Americans together under a common celebration. Christmas Day is the most widely celebrated holiday of the Christian year, observed as a commemoration of the birth of Jesus of Nazareth. New Year’s Day celebrates the beginning of the Gregorian calendar year and marks the traditional end of Christmas and the holiday season. The advent of American-specific holidays, however, such as Washington’s birthday, Independence Day, Thanksgiving, and the Eighth, reflected the formation of a national American identity during the nineteenth century. By marking an official day to celebrate people (such as the first president of the United States) and events (such as the day Americans gained independence from Britain and formed the new nation, and the day Andrew Jackson was victorious over the British army in New Orleans), these holidays fostered a sense of patriotism in the American public. Thanksgiving is perhaps the most complicated and controversial of the original federal holidays. It originated as a harvest festival and has been celebrated nationally on and off since 1789, after a proclamation by George Washington. According to stories, the event Americans commonly call the “First Thanksgiving” was celebrated by the Pilgrims after their first harvest in the New World in 1621. This feast lasted three days and is believed to have been attended by both American Indians and Pilgrims. The New England colonists were accustomed to regularly celebrating “thanksgivings”—days of prayer thanking God for blessings such as military victory or the end of a drought. The story of the original Thanksgiving, however, tells a simplified narrative of peace and gratitude between American Indians and European settlers, when in truth, the relationship was characterized by the widespread bloodshed of American Indians and invasion into their land. Much like Columbus Day, Thanksgiving is seen by many as a celebration of the genocide and conquest of American Indians by European colonists. Since 1970, the United American Indians of New England organization has accused the United States and European settlers of fabricating the Thanksgiving story and of whitewashing the genocide of and injustice against American Indians. The organization has led a National Day of Mourning protest on Thanksgiving at Plymouth Rock in Plymouth, Massachusetts, in the name of social equality and in honor of political prisoners. The Industrial Revolution, which reached the United States by the 1800s, strongly influenced social and economic conditions. The Industrial Revolution was a global phenomenon marked by the transition to new manufacturing processes in the period from about 1760 to 1840. The Industrial Revolution began in the United Kingdom, and mechanized textile production spread from Great Britain to continental Europe and the United States in the early nineteenth century. During this Revolution, changes in agriculture, manufacturing, mining, transportation, and technology profoundly affected social and economic conditions in the United States. 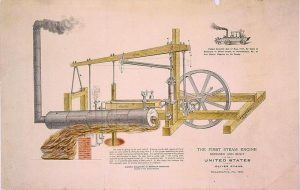 Though the United States borrowed significantly from Europe’s technological advancements during the Industrial Revolution, several great American inventions emerged at the turn of the nineteenth century that greatly affected manufacturing, communications, transportation, and commercial agriculture. In the 1780s, Oliver Evans invented an automated flour mill that eventually displaced traditional gristmills. Evans’s system for handling bulk material became widely used in flour mills and breweries during the nineteenth century and is among the innovations credited with the development of the assembly line. By the turn of the century, Evans also had developed one of the first high-pressure steam engines and began establishing a network of machine workshops to manufacture and repair these popular inventions. In 1793, Eli Whitney developed a machine to separate the seeds of short-fibered cotton from the fibers. The resulting cotton gin generated huge profits for slave-holding cotton planters in the South. In the early 1830s, Cyrus McCormick’s horse-drawn mechanical reaper allowed farmers in the West to harvest great quantities of wheat, leading to great crop surpluses. Reliance on horse power for machinery in the United States soon gave way to water power; this resulted in a concentration of industrialization developing in New England and the rest of the northeastern United States, where fast-moving rivers were located. The great number of rivers and streams along the Atlantic seaboard provided optimal sites for mills and the infrastructure required for early industrialization. Between 1800 and 1820, additional industrial tools emerged that rapidly increased the quality and efficiency of manufacturing. In the first two decades of the 1800s, the development of all-metal machine tools and interchangeable parts facilitated the manufacture of new production machines for many industries. Steam power fueled by coal, wide utilization of water wheels, and powered machinery became common features of the manufacturing industry. During this period, domestic trade also expanded with the introduction of canals, improved roads, and railways. In 1807, Robert Fulton built the first commercial steamboat, which operated between New York City and Albany. With the proliferation of new canal routes in the 1820s and 1830s, steamboat technology was crucial to domestic freight shipments in the United States. Subsistence farming declined, and more consumer goods arrived on the market. The transition away from an agricultural-based economy toward machine-based manufacturing led to a great influx of population from the countryside, causing towns and cities to swell in population. Steam engine design, 1801: This is the original steam engine design patented by Oliver Evans. The Industrial Revolution marked a major turning point in history. During this period, the average income and population began to exhibit unprecedented, sustained growth. In the two centuries following the 1800s, the world’s average per capita income increased more than tenfold, while the world’s population increased more than sixfold. The profound economic changes sweeping the United States led to equally important social and cultural transformations. The formation of distinct classes, especially in the rapidly industrializing North, was one of the most striking developments. The unequal distribution of newly created wealth spurred new divisions along class lines. Each class had its own specific culture and views on the issue of slavery. The elite lived and socialized apart from members of the growing middle class. The middle class valued work, consumption, and education and dedicated their energies to maintaining or advancing their social status. Wage workers formed their own society in industrial cities and mill villages, though lack of money and long working hours effectively prevented the working class from consuming the fruits of their labor, educating their children, or advancing up the economic ladder. The Industrial Revolution brought enormous advances in productivity, but with steep environmental costs. During the Industrial Revolution, environmental pollution in the United States increased with the emergence of new sources of fuel, large factories, and sprawling urban centers. Anthracite coal breaker and power house buildings, New Mexico, ca. 1935: Coal tends to release large quantities of carbon as it is burned to make electricity. Fossil fuels powered the Industrial Revolution. In 1790, anthracite coal was first discovered in what is now known as the Coal Region of Pennsylvania. 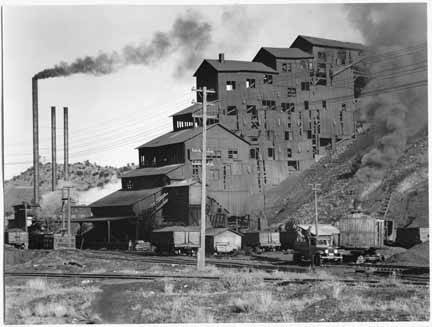 A harder and high-quality form of coal, anthracite soon became the primary source of fuel in the United States for domestic and industrial use. It fueled factory furnaces, steam-powered boats, and machinery. The consumption of immense quantities of coal and other fossil fuels eventually gave rise to unprecedented air pollution. In 1881, Chicago and Cincinnati were the first two American cities to enact laws to promote cleaner air. Hand bill from the New York City Board of Health, 1832: The cholera outbreak of 1832 was related to overcrowding and unsanitary conditions that attended the Industrial Revolution. The environmental effects of industrialization were especially concentrated in cities. 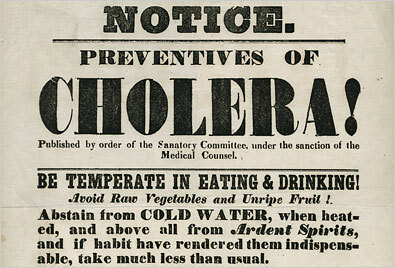 Unsanitary conditions and overcrowding afflicted many American cities, where outbreaks of disease, including cholera and typhoid, were common. Untreated human waste was a major environmental hazard as rapidly growing cities lacked sewer systems and relied on contaminated wells within city confines for drinking water supplies. In the mid-nineteenth century, after the link between contaminated water and disease was established, many cities built centralized water-supply systems. However, waste water continued to be discharged without treatment, due to public health officials’ confidence in the self-purifying capacity of rivers, lakes, and the sea. Henry David Thoreau, 1856: Thoreau’s writings celebrated nature and a simple life and provided a critique of urban and industrial values. In the early nineteenth century, policymakers and the public had little awareness of the extent of industry’s impact on the environment. Some effects were self-evident to attentive observers, however, and the rise of industrialization and urbanization did inspire a new appreciation for the natural world among some. Transcendentalism, an intellectual movement of the 1830s and 1840s, elevated nature in popular poems, stories, and essays of the time. Transcendentalist author Henry David Thoreau is best known for his work Walden, a reflection upon simple living in natural surroundings. 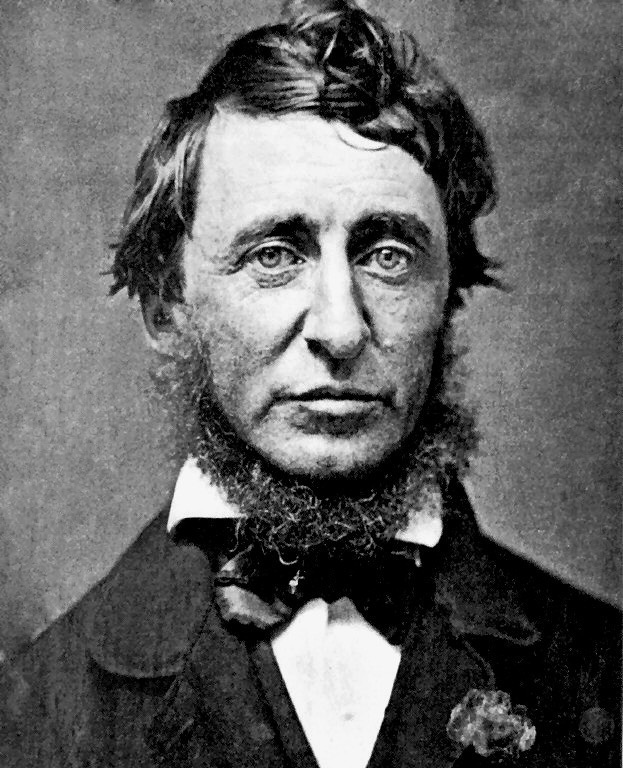 Thoreau also wrote on the subjects of natural history and philosophy and anticipated the methods and findings of ecology and environmental history, two sources of modern day environmentalism. While the Market Revolution led to many improvements, prosperity in the United States was not without its limits. The Market Revolution led to rapid expansion in manufacturing, new innovations in technology, and improvements in transportation. At the same time, the rapid expansion of the American economy made it prone to boom-and-bust cycles; it also led to dangerous working conditions and increased tensions between the North and South. The Market Revolution primarily benefited wealthy planters in the South, industrialists in the North, and bankers and businessmen. Many traditionally skilled and artisanal modes of commerce were made obsolete by the improvements of the Market Revolution. Poor working conditions in factories resulted in demonstrations and organized strikes by workers, prior to the widespread prevalence of unions and organized labor. Mill strikes organized by female factory workers in Lowell, Massachusetts, in 1834 and 1836, while largely unsuccessful, involved upward of 2,000 workers and represented a major organizational effort in the early labor movement. In 1845, the trade union of the Lowell mills sent representatives to speak to the Massachusetts legislature about conditions in the factories, leading to the first governmental investigation into working conditions. The Market Revolution created new regional demarcations in respect to economic specialization. By the 1820s, plantation-style export agriculture dominated in the South, the North was the center of industry and trade, and the West was defined by the expanding frontier. Though these regions have always been interdependent, during this period, their differences became more marked, more significant, and increasingly less compatible. From 1800 to 1860 the North—without slavery —became increasingly industrialized and urbanized. The South, predominantly rural, non-industrial, and reliant on slavery, expanded into rich new lands in the Southwest, from Alabama to Texas. This era was marked by sectionalism, or loyalty to the interests of a particular region, rather than to the country as a whole. The North and South were divided in terms of their economies, social structures, customs, and political values. Southerners argued that the North that was changing too rapidly and that the South remained true to historic republican values of the Founding Fathers, many of whom owned slaves. The issue of slavery also split the largest religious denominations (the Methodist, Baptist, and Presbyterian churches) into separate Northern and Southern denominations. Despite the profits realized by bankers, industrialists, and planters who were beneficiaries of the Market Revolution, some individuals’ fates were adversely affected by the improvements in industrialization, communication, and transportation during this period. The United States experienced the first major financial crisis of the early republic during the Panic of 1819. Earlier economic downturns had arisen from international conflicts such as the Embargo Act and the War of 1812, and these downturns had resulted in widespread domestic foreclosures, bank failures, unemployment, and slumps in agriculture and manufacturing. Prior to the Panic of 1819, American bankers, who had little experience with corporate charters, promissory notes, bills of exchange, or stocks and bonds, encouraged a land speculation boom during the first years of the Market Revolution and engaged in irresponsible lending. In the summer of 1818, the national bank managers realized the bank’s massive overextension and instituted a policy of contraction and the calling in of loans. Businesses went bankrupt when they could not meet their debts, and hundreds of thousands of wage workers lost their jobs. Whig cartoon showing the effects of unemployment: This U.S. Whig poster illustrates unemployment in 1837 through the lens of an American family, whose patriarch sits forlornly at a table while rent collectors enter the door. 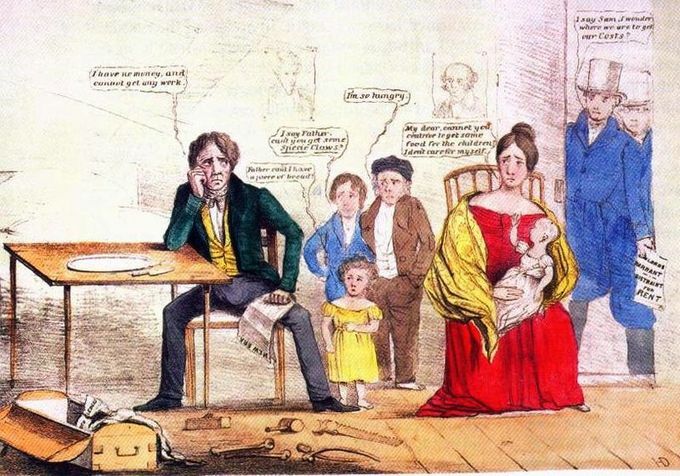 Speculative fever once again crippled the U.S. economy in the Panic of 1837. Following a period of runaway inflation, on May 10, 1837, in New York City, banks began to accept payment only in specie (“hard” money of gold and silver coinage), forcing a dramatic, deflationary backlash. The Panic was followed by a five-year depression, resulting in the failure of banks and levels of unemployment which were unprecedented at that time. Despite their rising numbers, free African Americans in the North faced discrimination and limited opportunity. 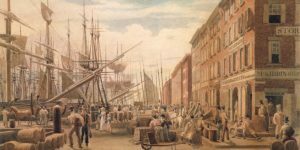 During the Market Revolution, slaveholders and the commodity crops of the South had a strong influence on U.S. politics and the country’s economy; for example, New York City’s economy was closely tied to the South through shipping and manufacturing. Though this period saw a rising number of slaves freed in the North and to a much lesser extent the South, African Americans experienced barriers that prevented their full participation in the economy. As the United States grew, the institution of slavery became more entrenched in the Southern states, even as Northern states began to abolish it. 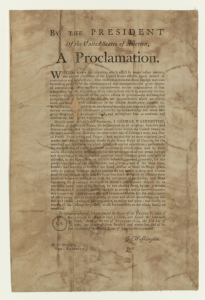 Vermont was the first state to outlaw slavery in its constitution of 1777, and other Northern states followed suit. 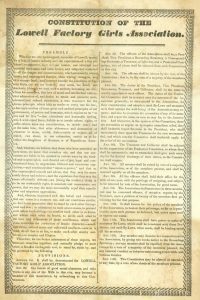 Either through the language of their state constitutions, court decisions, or gradual emancipation acts, all states north of the Ohio River and the Mason-Dixon Line had outlawed slavery by 1804. By 1810, 75 percent of African Americans in the North and 13.5 percent of all African Americans in the United States were free. Following this period, fewer slaves were freed as a result of the development of cotton plantations in the Deep South. The invention of the cotton gin in 1793 triggered a huge demand for slave labor to develop new cotton plantations. During a 20-year period, there was a 70 percent increase in the number of slaves in the United States, mostly concentrated in the Deep South. The abolition of the international slave trade in 1808 also increased the demand for domestic slaves. By 1819, there were exactly 11 free and 11 slave states, which increased sectionalism in the United States. Fears of an imbalance in Congress led to the 1820 Missouri Compromise that divided the Territories along the 36°30′ parallel. Territories seeking statehood above the line would become free states, and those below the line would become slave states. Many politicians believed that this would provide a permanent solution to the vexing question of slavery in the expanding American nation. By 1830, there were 319,000 free African Americans in the United States, 150,000 of whom lived in the Northern states. While virtually all African Americans in the North were free by 1840, they were subject to racial segregation and discrimination, including the institutionalized racism that characterized the majority of the nineteenth and twentieth centuries. The system of white supremacy that provided cultural justification of slavery also affected the status of free African Americans, who were perceived as members of an inferior race. Free African Americans could not enter many professional occupations, such as medicine and law, because they were barred from the necessary education. This was also true of occupations that required firearm possession, elective office, or a liquor license. Many of these careers required large capital investments that most free African Americans could not afford. The 1830s saw a significant effort by white communities to oppose black education, coinciding with the emergence of public schooling in northern American society. Public schooling and citizenship were linked together, and because of the ambiguity that surrounded African American citizenship status, African Americans were effectively excluded from public access to universal education. Free African American males enjoyed wider employment opportunities than free African American females, who were largely confined to domestic occupations. While free African American boys could become apprentices to carpenters, coopers, barbers, and blacksmiths, girls’—whose options were much more limited—were confined to domestic work such as being cooks, cleaning women, seamstresses, and caregivers. African Americans attempted to combat discrimination and strengthen their communities by forming organizations such as the American Society of Free People of Color. Other active abolitionist bodies advocating reforms in the North were the Pennsylvania Abolition Society, formed in 1775, and the New York Manumission Society, formed in 1785. These organizations provided social aid to African Americans in poverty and organized responses to political issues. The African American community also established schools for African American children, who were often barred from entering public schools. While the majority of free African Americans lived in poverty, some were able to establish successful businesses that catered to the African American community. Doctors, lawyers, and other businessmen were the foundation of the early African American middle class. 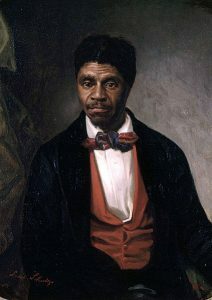 Dred Scott portrait by Louis Schultze: Dred Scott (1795–1858), plaintiff in the infamous Dred Scott v. Sanford (1857) case at the Supreme Court of the United States. In 1857, the Supreme Court ruled in the case of Dred Scott v. Sandford. Dred Scott, born a slave in Virginia in 1795, had been one of the thousands forced to relocate as a result of the massive internal slave trade and taken to the slave state of Missouri. In 1820, Scott’s owner took him first to Illinois and then to the Wisconsin territory. 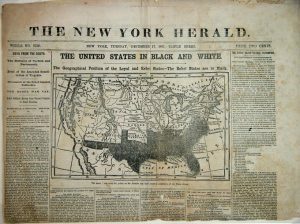 However, both of those regions were part of the Northwest Territory, where the 1787 Northwest Ordinance had prohibited slavery. 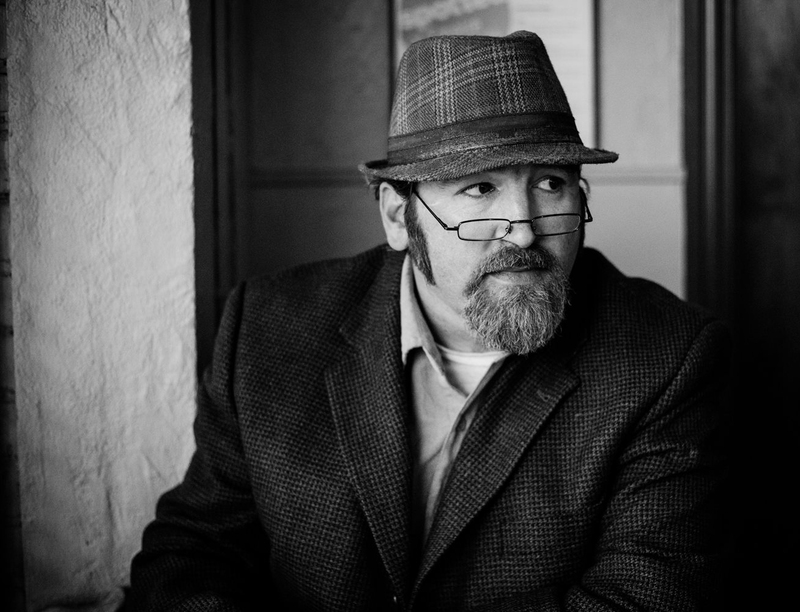 When Scott returned to Missouri, he attempted to buy his freedom. After his owner refused, he sought relief in the state courts, arguing that by virtue of having lived in areas where slavery was banned, he should be free. In a complicated set of legal decisions, a jury found that Scott, along with his wife and two children, were free. However, on appeal from Scott’s owner, the state Superior Court reversed the decision, and the Scotts remained slaves. Scott then became the property of John Sanford, who lived in New York. He continued his legal battle, and the case was brought to the federal court in 1854 (where Scott lost) and the Supreme Court in 1857. The Supreme Court—led by Chief Justice Roger Taney—decided Scott remained a slave. The court then went beyond the specific issue of Scott’s freedom to make a sweeping and momentous judgment about the status of African Americans, both free and slave. Per the court, African Americans could never be citizens of the United States. Further, the court ruled that Congress had no authority to stop or limit the spread of slavery into American territories. This proslavery ruling struck a major blow to the African American community and would not be reversed until the Civil Rights Act of 1865. By the 1830s, the United States had developed a thriving industrial and commercial sector in the Northeast. Farmers embraced regional and distant markets as the primary destination for their products. Artisans witnessed the methodical division of the labor process in factories. Wage labor became an increasingly common experience. Inventors produced new wonders that transformed American life. These industrial and market revolutions, combined with advances in transportation, transformed the economic and social landscape. Americans could now quickly produce larger amounts of goods for a nationwide, and sometimes an international, market and rely less on foreign imports than in colonial times. Those who invested their money wisely in land, business ventures, or technological improvements reaped vast profits. By the 1840s, the U.S. economy bore little resemblance to the import-and-export economy of colonial days. It was now a market economy and the production of goods, and their prices, were unregulated by the government. Commercial centers, to which job seekers flocked, mushroomed. New York City’s population skyrocketed. In 1790, it was 33,000; by 1820, it had reached 200,000; and by 1825, it had swelled to 270,000. New opportunities for wealth appeared to be available to anyone. A transportation infrastructure rapidly took shape in the 1800s as American investors and the government began building roads, turnpikes, canals, and railroads. The time required to travel shrank vastly, and people marveled at their ability to conquer great distances, enhancing their sense of the steady advance of progress. The transportation revolution also made it possible to ship agricultural and manufactured goods throughout the country and enabled rural people to travel to towns and cities for employment opportunities. As American economic life shifted rapidly and modes of production changed, new class divisions emerged and solidified, resulting in previously unknown economic and social inequalities. American day laborers and low-wage workers lived a precarious existence that the economic benefits of the new economy largely bypassed. An influx of immigrant workers swelled and diversified an already crowded urban population. By the 1830s, many urban centers had become home to widespread poverty, crime, and disease. Advances in industrialization and the Market Revolution came at a human price. Five Points by George Catlin: Five Points (1827), by George Catlin, depicts the infamous Five Points neighborhood of New York City, so called because it was centered at the intersection of five streets. Five Points was home to a mix of recent immigrants, freed slaves, and other members of the working class. This image of the Five Points district captures the turbulence of the time. Industrialization led to radical changes in American life. New industrial towns, including Waltham, Lowell, and countless others, dotted the landscape of the Northeast. The mills provided many young women an opportunity to experience a new and liberating life, and many workers relished their new freedom. At the same time, workers were subjected to harsh and dangerous working conditions and required to work long hours for very little pay and no job security. Many workers began to question the basic fairness of the new industrial order, and the early origins of the labor movement can be seen in worker strikes and organized protests of this era. The world of work had been fundamentally reorganized. The expansion of the American economy also made it prone to the boom-and-bust cycle, in which runaway land speculation led to economic downturns during which wage workers lost their employment and investors lost their assets. This happened for the first time in the United States in 1819 and again in 1837, when waves of enthusiastic speculation gave way to drops in prices. Originally published by Lumen Learning – Boundless U.S. History under a Creative Commons Attribution-ShareAlike 3.0 Unported license. This entry was posted in Economics, Economy, History, United States. Bookmark the permalink.